Good news: You don’t have to be 16 years old to start a career as a model. If you’re over 40 and think your dreams of being a model are behind you, think again. In fact, mature models are in high demand for all kinds of modeling work. Marketing experts understand campaigns need to feature models that reflect their target demographic, and that means models of all ages, sizes, and heights can find work. People are living longer than ever before, which means work for models of all ages is more plentiful than ever. Here are some answers to common questions people have about mature modeling. For models of any age, it’s important you feel comfortable being the camera. Remember: Unease and discomfort will translate to the photographs. A warm face and bright smile are sought-after features for mature models. Wrinkles are okay, and you do not need to try and cover them up. Glowing skin and healthy bodies are important for models of any age, but clients who book mature models for always looking for a picture of health and vitality. Experience is not necessary, but professionalism is. Unlike fashion modeling where specifics measurements are often required, the guidelines for catalog and commercial models are not as strict. This means model scouts can hire mature models of all sizes and heights. Absolutely. Clothing is designed for people of ALL ages, and that means all ages are needed to model those designs. There are certain clothing brands and lines that cater specifically to an older demographic, and they will only hire mature models to model those designs. No, today there are great modeling agencies that scout models of all kinds, rather than catering towards one specific age group, gender, or size. You can even be scouted from the comfort of your home by uploading pictures to an online portfolio for top modeling agencies around the world to view. ModelScouts.com is a great place to start. 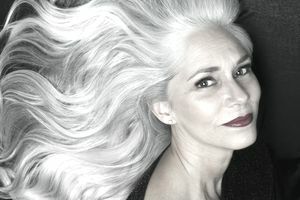 Marie Helvin is in her 60s and is a model who recently shot a stunning lingerie shoot that went viral. Marie has been modeling for decades, and her continued success defies the expectation that modeling work will drop off as you age. Carmen Dell’Orefice (late 80s) landed her first Vogue cover in 1947, and still models to this day. She has been modeling for Isaac Mizrahi’s Target clothing line since the 1990s and can be seen in Rolex ads as well. Last year, she even closed the MAX.TAN Spring Summer 2015 show in Singapore and is still a regular on magazine covers. Daphne Selfe is in her late 80s, and has been modeling since 1949. She even has a spot in the Guinness Book of World Records for being the World’s Oldest Professional Model. Her career has included work for Dolce & Gabbana, GAP, and Olay. Selfe has her own academy, is an author, and is actively involved in charitable efforts. Age really is just a number. Veruschka von Lehndorff moved to New York City in 1961 when she was 22 and became one of the most successful models of the 1960s. She has also appeared on the covers of British, Italian, American, and French Vogue. Although Veruschka has retired from modeling now, she was still walking the catwalk up until 2010.